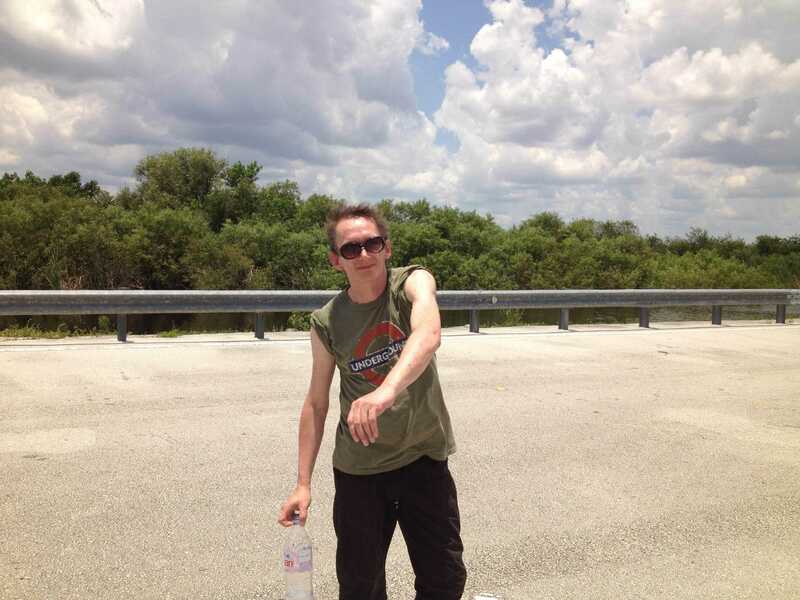 Keith Levene discusses his new release, Search4AbsoluteZero, his thoughts on being "independent," and his "non-memoirs"
FOREWORD: Keith Levene is a founding member of several groundbreaking acts, including The Clash, The Flowers of Romance, and PiL. 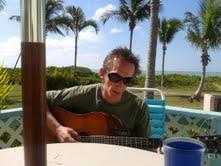 Although he is a self-taught multi-instrumentalist, Levene is probably best known for his legendary guitar work. He has collaborated with a wide variety of acts and artists as a musician/composer/writer as well as in a production capacity, including but not limited to Sid Vicious, Flea, Hillel Slovak, Ken Lockie, Vivien Goldman, Glen Matlock, Dub Gabriel, Mark Stewart, Jah Wobble, Jim Walker, Martin Atkins, Bob Forrest, Julie Campbell, Dub Syndicate, Singers and Players, Creation Rebel, the Philistines, the Mavericks, Pigface, Carpetface, and Necessary Intergalactic Cooperation. 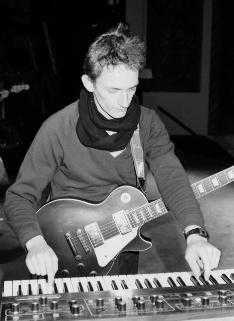 Levene has been responsible for a number of pioneering tunes, dating back to the age of 19 when he wrote and played the legendary riff to the PiL tune "The Public Image" on a metallic Veleno guitar (nicknamed "the Leveno" after him), a riff which inspired countless guitarists that followed in his footsteps. Additionally, he has been involved in the computer industry, has produced 3D artwork, and has written soundtracks for films. "To begin, Search represents probably about eight years of my work. Its roots go back to about 2004 or 2005. It is the parity release to the Yin and Yang release I made with Jah Wobble (the original PiL bassist). I like to describe Search as being the checksum to that. It also wraps up unfinished business from PiL's second album, the Metal Box. 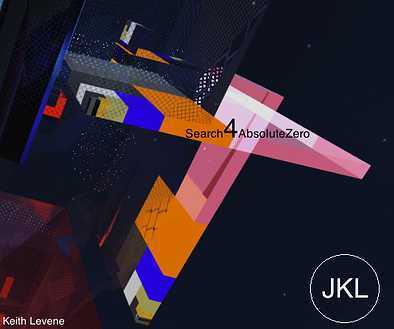 So like the Metal Box, Search4AbsoluteZero was done in one take, off the top of our heads. We didn't get together for a bunch of rehearsals. No.we went in and just did it. Search was done live to tape. Real time composition, if you will. That's the way I do things. That's my approach. I tend to go into a studio, and the music just seems to flow out of me. I don't believe in doing take after take for a number of reasons, including the fact that the best stuff is usually created in just one take. That's what I believe, anyway. That's when you give yourself the room to have really amazing things happen in the studio. So, yeah, that's basically how the songs on Search were recorded. But the release is not only composed of tunes. There are songs on Search, and other things as well. The release contains a total of nine tunes, plus three original videos of my 3D artwork, and an interview that Tony Dale did of me last year. Do you know Tony? Are you familiar with the PiL tune Fodderstompf? Well, Tony was the long haired hippie roadie who's referenced in that tune." Instruments used on the title track. 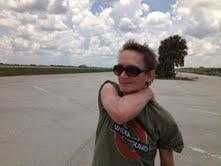 "One guitar, drums and an electric piano were used in the making of the title track to Search4AbsoluteZero. That's about it. I tend to use just a few instruments when I compose and record songs. Always have. Know that tune The Slab off the Commercial Zone album? Some people think I used an orchestra to record it. Wrong! The Slab was done with a synth and an acoustic guitar. That's about it!" Distribution of music by the artist. "Unlike Yin and Yang, which can be obtained through a variety of places, you can only get Search through me. And I don't release things like Search very often. The last thing I released under my own name was Killer in the Crowd, which was well over a decade ago. Not that I don't like producing. Not that I don't like recording. Not that I don't like the creative process. I do. I'm always coming up with new things. BUT---I have very high standards. I'm not just going to release something to release something. I gotta be 100% satisfied with it. Why bother, otherwise? And I'm well pleased with how Search turned out. From the feedback I've gotten, other people are, too. It's really something special. I tell people, if you like anything I've done before, anything at all - you're gonna love Search. The people who have gotten it tell me they really do. And I'm glad about that!" Distribution of Search4AbsoluteZero via "Digital Skateboard Process" or "Ya Can't be an Independent musician, if you ain't independent!" I don't do record deals! Forget that. There is no need for record deals today. Anytime I've involved business people in my work, things have gone wrong. I say, do it yourself. All of it. That way, if anything goes wrong, I only have myself to thank! So the digital skateboard distribution method regarding Search is similar to the independent process I used back in the '80s when I distributed Commercial Zone, which was on an actual skateboard! It means, quite simply, this: After you create the music yourself and record and produce it yourself, it stands to reason that you then distribute it yourself. If you're gonna call yourself independent, you gotta be independent all the way, yeah? You turn control of your work over to a record company, how can you possibly be independent? You're not! You can't be! Trust me, I've been dealing with this since the 1970s. Unfortunately, I've learned some hard lessons about the business end of the music industry. Lesson number 1: Do it yourself! What I do now in 2013, is what I did in 1983-1984 with Commercial Zone. I distributed my work myself. Back then, I had the albums pressed through this guy I knew in New York City. When the albums were ready, I'd skate on over to the pressing plant on this red-wheeled skateboard I had. I'd get the boxes of albums from him, and would then deliver them to the people who wanted the Commercial Zone album. It's the same thing with Search4AbsoluteZero. I did not turn over my work to some corporation. I distribute Search myself. People who want to get this release, can only do so through me. No record companies involved. You go to my website and order it. Then I deliver it to you, personally, through my 'digital' skateboard! Simple, yeah?" Why did I decide to do this now? Well, a lot of nonsense has been said and written about me over the years. Also, there have been a lot of books and movies released that supposedly recalls the London music scene of the middle to late 1970s, most of which by people who weren't there or were only marginally involved. Either way, they usually got things wrong! So my non-memoirs gives me an opportunity to correct the record if you will. I talk about such things as how The Clash and PiL came to be. What it was like to be on the scene in particular moment in time that people of all ages seem interested in, even those that were born decades after the fact! I also address my experiences in America. The quote-unquote Ritz Riot show that happened in 1981 in New York City, for one. How that show was planned, what it was supposed to be, what happened that night. PiL's show at the Ritz was intended to be probably the first live interactive video event for the times. It was quite revolutionary for the times. Remember, that show occurred even before MTV hit the airwaves. Too bad the audience demanded a traditional gig. Coz if they would have stayed with us, I think it would have been something really special. And again, lots of people have addressed that event, and have gotten it wrong! So here, for the first time, I'll go into detail as to how the Ritz show came about.the planning, what we were supposed to deliver.the intended involvement of the audience, and what actually happened! I'll be announcing the delivery of a sneak peak of this book and the actual finished produced on my website. And as you can probably imagine, just like I don't do record deals, I don't do book deals either! Yes, it'll be totally self-published when it comes out." 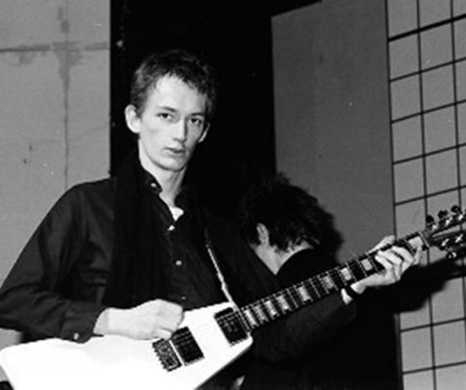 Keith Levene's digital release, Search4AbsoluteZero, is available exclusively through his website: www.keithlevene.com or www.murderglobal.com.